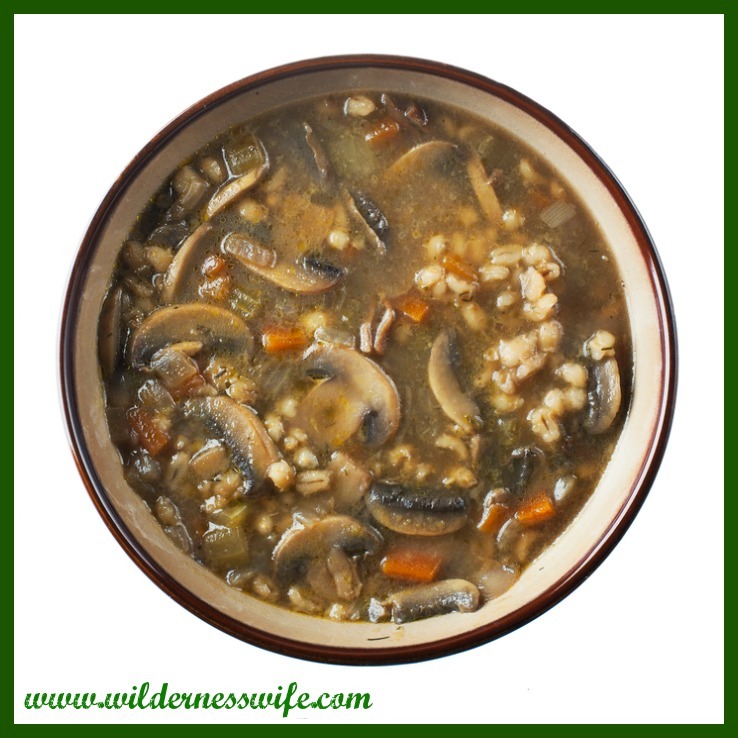 Slow Cooker Mushroom Barley Soup is perfect for chilly fall days! 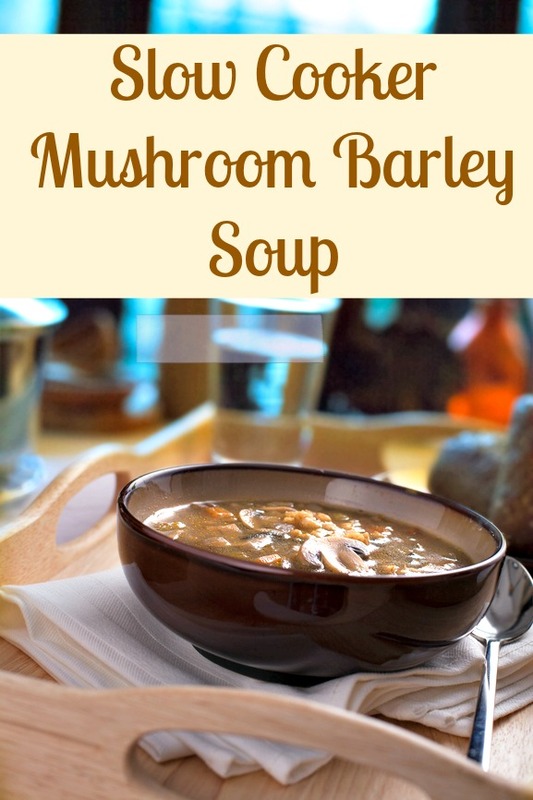 There’s nothing like a good slow cooker soup on a chilly fall day and this Slow Cooker Mushroom Barley Soup is satisfying, tasty, and healthy. Healthy and good, that’s a win-win for me! 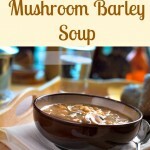 This recipe makes a flavorful soup and the mushrooms add a “meatiness” to it while keeping it a healthy vegetarian meal. To make it even healthier, this slow cooker soup can be made with low sodium broth, and the salt can be eliminated from the recipe. An increase in the required herbs added during the cooking process and a salt substitute added when serving, could enhance any flavor that is lost by eliminating salt. Why do things that make food taste so good – fat, sugar, and salt – have to be so bad for us? Both Bill and I love all three but we have to be careful and limit them to reasonable levels because of health issues we both have. We both love mushrooms – button, portabella, baby bella, cremini, oyster, shitake – are fine with us. Usually at the market, the white button mushrooms are the most available but I like the baby bellas for this soup. Full size portabella mushroom are much to big and don’t look as nice as the baby bella mushrooms do when sliced for the soup. 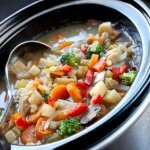 For this slow cooker soup recipe I have only used white button and baby bellas, so I do not know how any others would hold up under the long cooking times of a slow cooker. We have lots of wild mushrooms that grow on our lawn and in the woods. Bill is always telling me that his friends tell him that this one or that one are edible but I am very reluctant to try wild ones. Picking wild mushrooms requires knowledge that neither of us has and it can be horrendous if you make a mistake. In a number of mushroom varieties, the differences between poisonous and edible are subtle. I’m sticking with the ones from the store – better safe than sorry! A steaming bowl of Slow Cooker Mushroom Barley Soup is delicious and hearty – perfect for a chilly fall day! 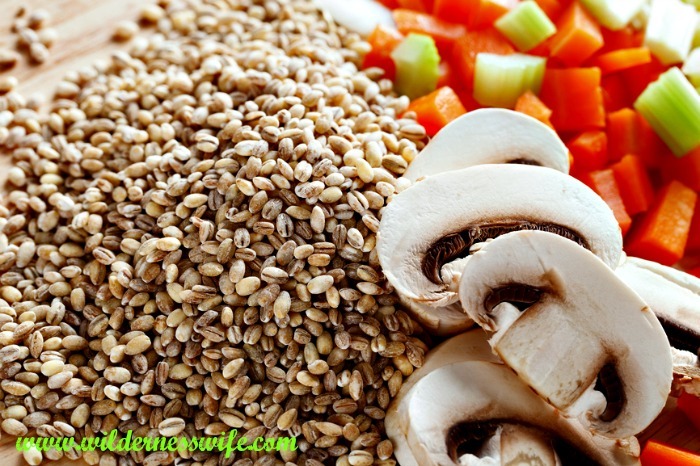 Hearty and delicious, this a filling vegetable soup that is healthy and easy to make. Add all ingredients to slow cooker and stir gently to combine. Cover, and cook n Low setting for 6-7 hours. Can I cook it on high for less time? If so. How long would you suggest? It may not come out quite the same but I would go with 3-4 hours on high. Let me know how it comes out. Are you able to cook this on high for andhorter amount of time? On high, I would do it for 3-4 hours. I added a dollop of plain yogurt as a garnish and it kicked it up a notch! Great idea!!!!! That sounds yummy! I am going try that the next time I make it! 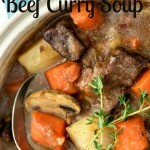 Put it in the slow cooker last night, and I’m enjoying this delicious soup for lunch. I followed the recipe exactly besides adding a quarter cup more barley and going a little heavy on the pepper both of which, in my opinion, only made it better. Thanks for sharing this recipe- I’ll be making it again soon! do you know how many calories are in this soup. I’m really not sure. I wish I had the time to figure it out but right now my schedule is quite busy. And I never make claims that my recipes are the ideal for losing weight. My theory on eating is “all things in moderation”! Thanks for linking up to Oh My Heartsie Girl WW! This is the perfect recipe for the cold winter weather we are having here in the Northeast. Thanks for linking it up at the This Is How We Roll Thursday party. i don’t see where in the recipe the measurement for the barley is and when to add it. Am I missing something? The last item in the ingredient list is 1/2 cup of barley. And the instructions say to add “all ingredients” to the slow cooker which means the barley as part of all the ingredients. Hope this helps and hope ypu enjoy this delicious and warming soup. You can also use Mushroom Broth. I use Pacific Natural Foods. Sounds like a great idea. I don’t have that available in our remote area but would love to try it if I could find it. Hi, I just want to know what size crock pot did you use? I usually use a 5 qt. slow cooker although I have a variety of sizes. Although I never made it with vegetable broth, I would think it would be the perfect solution to making it a true vegetarian meal!